Prayer Tower Bible way Apostolic Faith Church and AMF Laurel Lanes invites all to “PTC Family Night” of bowling with friends and family. 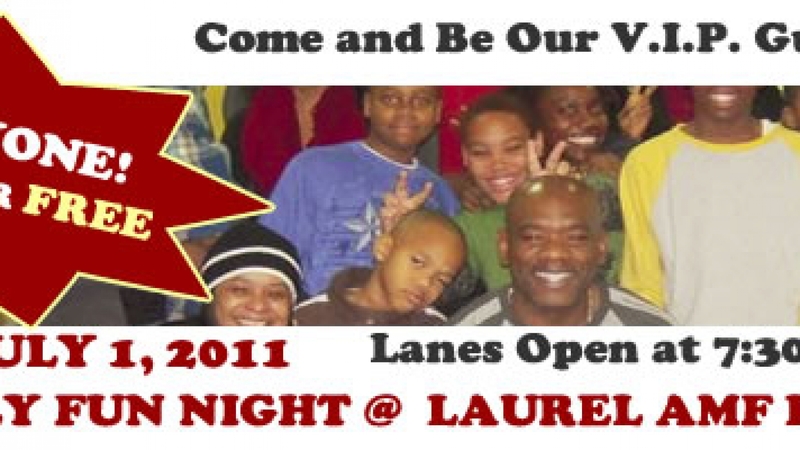 laurel, MD 20707 on July 1, 2011 at 7:30pm and bowl for FREE. Yes! This is a FREE event so we hope to see you on the lanes!